The Force is Strong with the Fort Worth Police!!! Hey, everyone! These videos have been making the rounds on the news stations and I figured, “Why should they have all the fun?” Below you will find three recruitment videos for the Fort Worth Police Department. By far, my favorite is the one with the Stormtrooper. Have fun watching them! And remember…. The Force is strong with this Police Department! And THIS is how you teach a Stormtrooper to shoot! This entry was posted in and Laughs, Giggles, Grins and tagged and Laughs, Chewie/Chewbacca, Darth Vader, Fort Worth, Forth Worth Police Department, Giggles, Grins, Star Wars, Stormtroopers, Texas on January 16, 2018 by The Mithril Guardian. Hey, readers! As you know, I am a HUUUUGE fan of the Japanese Anime Zoids: Chaotic Century. Last year, a video game called Zoids: Field of Rebellion was released in Japan. As far as I know, the game is still in the Japanese market, which is a real shame, because I WANT THIS GAME!!!! To quote and paraphrase Van Flyheight: “Ooh! Me wantee! Me wantee very, Very, VERY MUCH!” If only we actually had zoids here on Earth – or could go out and find/build them on Zi!!!! I hope Zoids: Field of Rebellion makes it to the American market soon. I WANT THIS GAME!!! This entry was posted in and Laughs, Giggles, Grins and tagged and Laughs, Giggles, Grins, Japan, Japanese Anime, Japanese cartoons, Japanese video games, Shield Liger, Takara Tomy, teasers, The Shield Liger, The Zaber Fang, video games, Zaber Fang, Zoids, Zoids: Chaotic Century, Zoids: Field of Rebellion, Zoids: Fuzors, Zoids: Genesis, Zoids: New Century Zero on August 8, 2017 by The Mithril Guardian. Years ago, I met a group practicing for a play. It was a Gilbert and Sullivan play, but I did not know that at the time. I enjoyed the singing and the lyrics, and one of the friends with me at the time said that I had to see The Pirates of Penzance. I was more amenable to the idea than I might normally have been. There was something in the practice session that hinted at a great story worth seeing, and so I readily agreed to watch a film of the play. A film copy of the play was found soon after. Starring Kevin Kline, Rex Smith, Linda Ronstadt, Angela Lansbury, George Rose, and several others, it promised to be a great deal of fun. And that, I soon discovered, was the understatement of the year. As the story started I began to smile. Within five minutes I was choking on giggles. In ten, I was laughing out loud. For those of you who do not know, Gilbert and Sullivan were two playwrights who wrote comedies in the late nineteenth century. Both were knighted and neither of them could stand the other. They each had aspirations to be the greatest in their respective fields and this meant that neither of them wanted to write comedies, especially if it meant they had to work together all the time. This was in spite of the fact that they were making a veritable killing at this work. The weary duo ended their partnership some time before they died, to the dismay of their fans. Sullivan, who was the younger, died first. The Pirates of Penzance is one of their best known plays, along with H. M. S. Pinafore and The Mikado. In Penzance we are introduced to a Pirate King (Kevin Kline) and his scurvy crew. The crew is having a celebration for their young apprentice, Frederic (Rex Smith), who turns twenty-two today and thus ends his indentured servitude to them. How did Frederic become indentured to a pirate gang? It turns out that his nurse, Ruth (Angela Lansbury), misheard Frederic’s father when he gave her a commission. Frederic’s father wanted his son apprenticed to a pilot, but Ruth misheard him and thought he said pirate. So she accidentally indentured eight year old Frederic to the Pirate King’s crew! Frederic does not hold this misunderstanding against Ruth – it is an easy mistake to make, after all. He has come to know the pirates aboard the ship over the years and likes them all individually. But the fact is that they are pirates, the scourge of the sea, the plague of merchantmen, the locusts of seaports. And so in a general way Frederic hates the pirates he grew up with as the vilest scum of the Earth. And in the abstract he cannot believe that he has been duty-bound to help them ply their terrible trade from the time he was eight years old. The pirates do not hold this against him, though, since they cannot seem to “make piracy pay.” Frederic knows why this is; because they are orphans, the pirates give orphans a free pass. And word of this nobility on their part has gotten out. The last three ships they tried to take were all manned by orphans, so the pirates spared them. If you are saying, “Yeah, right,” you would be correct. Frederic points out that everyone knows England does not recruit orphans to crew its merchantmen; they need men with families and titles to command the ships. But because the Pirates of Penzance are known to spare orphans, the crews for these ships pretended to be orphans in order to escape them. Once the clock strikes noon, Frederic sets out from the pirate ship, taking Ruth with him. Ruth is an older lady by now, but she is the only woman Frederic has seen and known since he was eight. He expects to marry her, a prospect she very much likes, since otherwise she will die an old maid with no one to take care of her. But on pulling up to an English beach, Frederic espies a group of girls his own age come to the waterside to have a little fun. Finding Ruth has lied to him about her age and beauty, he casts her off before going to see if one of these young ladies will marry him. Then the Pirates show up, and the fun kicks into high gear! There is another version of The Pirates of Penzance which is worth a viewing as well. This one was performed in New York with Patricia Routledge, the lead actress in the British sitcom Keeping Up Appearances, portraying Ruth. If you ever saw her as Hyacinth ‘Bucket’ Bouquet and thought she had a terrible voice, you will be surprised to hear her singing here. She pulled a fast one on those of us who watched Keeping Up Appearances, I can tell you! Have fun with The Pirates of Penzance, readers! This entry was posted in and Laughs, Giggles, Grins, Movie Reviews and tagged and Laughs, Angela Lansbury, apprentices, Comedy, English literature, English plays, English poetry, fun songs, Funny Songs, George Rose, Giggles, Gilbert and Sullivan, Grins, H. M. S. Pinafore, Keeping Up Appearances, Kevin Kline, knights, laughter, Linda Ronstadt, Movie Reviews, music, Musicals, Patricia Routledge, plays, Rex Smith, songs, The Mikado, The Pirates of Penzance, Western Comedies on August 4, 2017 by The Mithril Guardian. We all need a laugh every once in a while. It literally adds years to our lives. The songs below are some of the funniest I have ever heard, so I am recommending them to you, readers. Here’s hoping you are rolling on the floor laughing by the time you finish this post! This entry was posted in and Laughs, Giggles, Grins, Music Reviews and tagged Alvin and the Chipmunks, American Pie, and Laughs, Carl Douglas, Corb Lund, Don McClean, fun, fun songs, fun videos, Funny Songs, Giggles, Grins, I Love Rocky Road, Johnny Horton, Kung Fu Fighting, laughter, Loggins & Messina, music, music bands, Music Reviews, Music videos, Ray Stevens, smiles, smiling, Snoopy vs. The Red Baron, songs, The Battle of New Orleans, The Irish Rovers, The Lion Sleeps Tonight, The Royal Guardsmen, The Streak, The Tokens, The Truck Got Stuck, The Unicorn, The Witch Doctor, Weird Al Yankovic, Your Mama Don’t Dance on July 28, 2017 by The Mithril Guardian. Normally I keep all my private and personal affairs just that: private and personal. But something very bizarre occurred the other day, and I have got to know if I am the only pet owner on the planet who has ever had this happen! Almost two years ago I purchased a red betta fish. I named him Clifford after the character in the children’s TV show, Clifford the Big Red Dog. He was a great little pet, and I initially kept him outside. Eventually, though, he became an indoor fish, and I really enjoyed his company. Unfortunately, I gave him too much TLC; that is, I overfed him. He died, so I bought a replacement after a while, another red betta. I called him Red because it was simple and easy, and it would not make me feel like I was replacing my last pet in every detail. I had Red for two to four weeks before he decided he wanted a better view of the room and jumped out of the tank to expire on my carpet. If I had been present when this happened, I would have saved him, but I was out most of the day that he decided to take the leap and croak on the floor. When I got back I thought I had an enormous bug on my carpet, until I turned on the light and saw it was actually my dried-up pet fish. 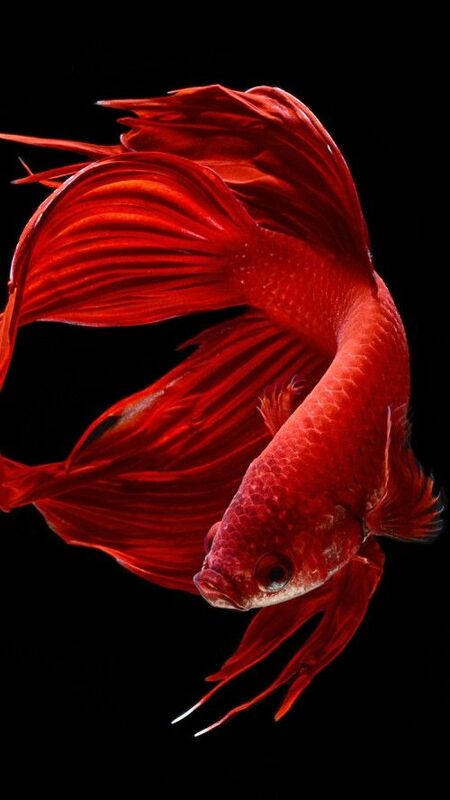 After a week or two, I decided to give owning a Siamese fighting fish another chance. I purchased another red betta. Feeling that this fish might not last any longer than my previous ones, I gave him the tongue-in-cheek name Crimson Typhoon. For those of you who have not seen Pacific Rim, Crimson Typhoon is the name of the Chinese Jaeger which dies within five minutes of entering a battle onscreen. I figured that if this little guy was going to croak as fast as the others, he ought to be aptly named. But I have had Typhoon for nearly a year, and so far he had been doing fine. That is, he was doing fine until yesterday morning. At some point in the early morning or late that night, I heard a noise. Not one to go poking around after things that go bump in the night, I tried to place the sound and decided at last that what I had heard was an annoying songbird which has been hanging around the window screens for most of the month. When I got up later on, the first thing I did was go to check on and then feed my fish. But my fish was not swimming around the tank. My first thought was a French word, followed by the notion that he had died and was at the bottom of the tank somewhere. Then I got closer and saw him stuck between the lip of the glass tank and a cone I had had made to keep him from committing suicide in the same way that Red had. More French words followed this discovery, and I began trying to figure out how I would get him loose so I could bury him. As I began trying to shift the cone, that stupid fish moved! Once he flapped against the plastic, I recognized the sound I had heard in the night and nearly cursed my own stupidity for not knowing it sooner. I desperately freed him from his confinement and, catching him as he flopped about on the table, dropped him back inside the tank. As I did, I knocked over the cone which had been erected to keep him safe, though he had managed to find a way to thwart my protective measures. I was furious and I let him have it, shouting at him and calling him a stupid fish. The poor little guy was so traumatized from his night out of water that he had clamped fins, and for a while, I thought I had pulled them off in trying to free him. His tail had already lost some of its feathery parts, and I was horrified at the idea that he would be a cripple for the rest of his likely to be short future. Luckily, he moved both his side fins after a time and I realized they were still attached. Not trusting him to stay in his tank, which I had been planning to clean that day anyway, I pulled him out and put him in a container until the tank could be cleaned and new security measures put in place. All day I berated him for scaring me half to death, though I also thanked God he had not died in the middle of the night. I do not know how long he has left in this cruel world, though, and that is why I have written this post. Readers, I cannot be the only betta owner on the planet who has had this sort of thing occur. I just cannot be the only one. It is not possible. The tank I keep Typhoon has the approximate volume of a milk jug. It is made of glass and it does not include any sort of filtration system. It is open to the air, which I why I have put a lid on it after this pet rescue. The lid is of a thin plastic with lots of holes punched in it so that Typhoon can breathe. (Bettas need to have filtrated or open air tanks, since they do not take all of their oxygen straight from the water.) Because his tank is near a window, I bought a Tetra submersible heater for him. It is supposed to heat two to fifteen gallon tanks and it seems to work just fine. 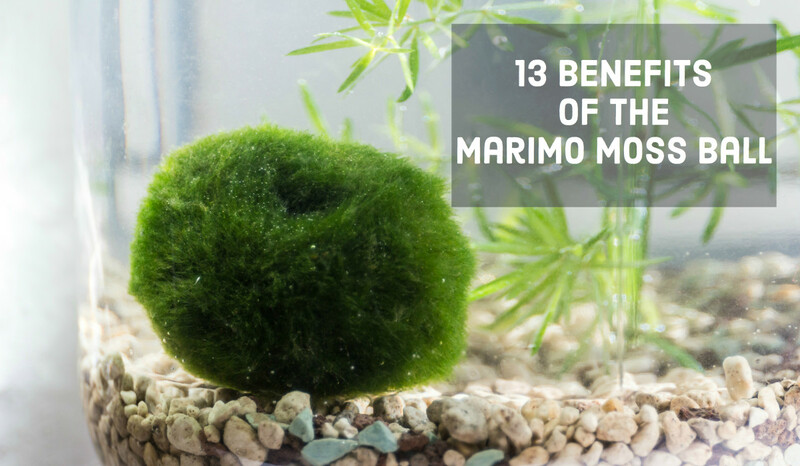 I also have a moss ball in the tank to supply extra oxygen for him as well. I was hoping it would serve as a fish bed, too, but Typhoon usually ignored it as such until recently. There is gravel in the bottom, covered by decorative glass pebbles. I am going to feed him a green pea soon, as research I did said this was healthy for bettas and helped keep them regular. Please let me know I am not the only owner of a Siamese fighting fish who had to rescue it from a near suicide attempt!!!! P.S. My moss ball has a tendency to float after I squeeze it out when cleaning the tank and put it back in the water. Has this occurred with anyone else? This entry was posted in and Laughs, Ask a Silly Question..., Essay, Giggles, Grins and tagged and Laughs, Ask a Silly Question...., bettas, children's animated tv shows, Clifford the Big Red Dog, Essay, fish, fish care, fish tanks, Giggles, Grins, Marimo moss ball, moss ball, Pacific Rim, pets, red betta fish, Siamese fighting fish, TV Shows on February 23, 2017 by The Mithril Guardian. A Long Way from Chicago was a gift I received years ago. Sadly, though, I did not get around to reading it for some time. But when I did I learned just what I had been missing. The novel revolves around Joey Dowdel and the adventures he and his sister Mary Alice have as they are growing up. Every August during the Great Depression the two are sent down south to stay with their grandmother in her small Illinois town. They call her Grandma; the neighbors call her Mrs. Dowdel. We readers know her as Grandma Dowdel. Grandma Dowdel is as big as a barge and as odd as only an old lady who has lived by her wits and her will can be. On their first visit, Joey and his sister learn that Grandma likes her privacy. She does not want any snoopy neighbors poking their noses into her business, period. So when a fancy-shmancy reporter comes to town to do a story on the recently deceased “Shotgun” Cheatham’s life history, Grandma decides to send the man packing. But she does it in the most unexpected way possible: she hosts Cheatham’s remains in her house, sitting up with the dead until he can be buried! The high jinks only get higher as the summers pass. Despite the Depression, Grandma finds plenty of ways not only to keep her grandchildren busy, but to maintain the rhythm and security of the town she says she “couldn’t give two hoots about.” Joey and Mary Alice – along with the reader – never know what is going to happen next. And that is just the way Grandma Dowdel likes it. A Long Way from Chicago is a rip-roaring good book. It is full of laughs. Rereading it again a little while ago, I was surprised at how much I had forgotten. I was equally surprised at how much the book made me laugh! There are two sequels to this book, possibly three, and they are as hilarious as this one – maybe even more so. Richard Peck’s series is classic, readers; this blogger recommends it highly. And since I happen to “give two hoots” about you, I suggest that you grab a copy of A Long Way from Chicago and start reading! This entry was posted in and Laughs, Book Reviews, Giggles, Grins, Youth Books and tagged A Long Way from Chicago, and Laughs, Book Reviews, books, books for children, fun, Giggles, Grandma Dowdel, Great Depression, Grins, Humor, Richard Peck, Youth Books on January 27, 2017 by The Mithril Guardian. This entry was posted in Grins and tagged abortion, advertisements, Babies, Grins, Huggies, premature on December 16, 2016 by The Mithril Guardian.